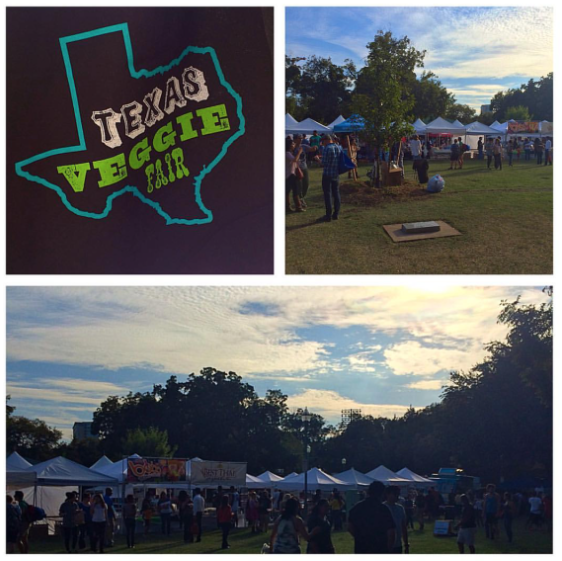 17 Miles, Texas Veggie Fair and Wknd Recap. Happy Monday! Hope your week is getting off to a great start. I taught my cycle and strength class…we rocked it out on the spin bike then did a ton of squats, lunges and deadlifts. I am already sore. 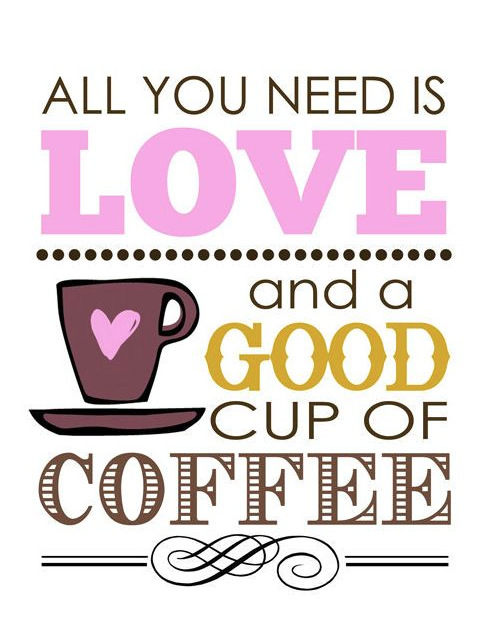 Coffee always makes things better. How was your weekend? Let’s recap a bit. I was able to get out and explore my surroundings on Saturday. Starting with a 17 mile run by the lake. I am ramping those miles back up for marathon number 16…the Rock n Roll Las Vegas Marathon which is a little over 3 weeks away. Bring on the Strip at Night! I have never done this particular race so definitely looking forward to the 26.2 mile joyride. Plus I will be staying for a couple more days so I’m totally making a vacation out of it with my girlfriends. Woot woot. Some of these gals will be joining…racecations are always better with runner pals. My legs are feeling pretty good after that run surprisingly even after running the super hilly Tyler Rose Marathon just last weekend. I was so happy I was able to recover nicely after that beating of a course. After the run was a lot of relaxing and protein pancake making. 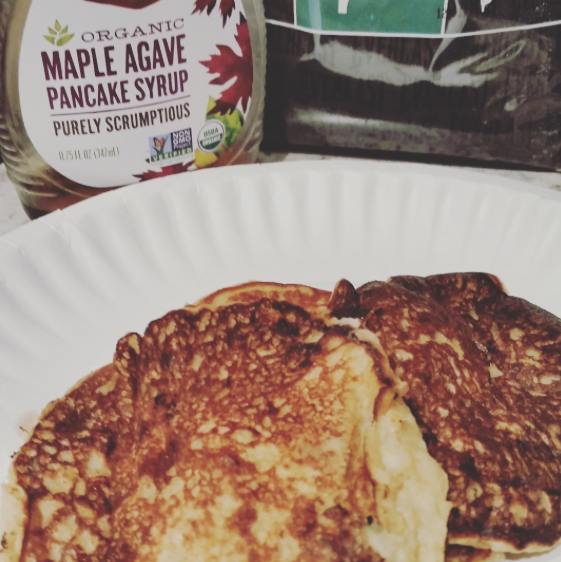 I used the Everlast Vegan protein powder, egg whites, banana, some leftover multigrain pancake mix I bought from Sprouts Farmers Market and water. They actually turned out really good. 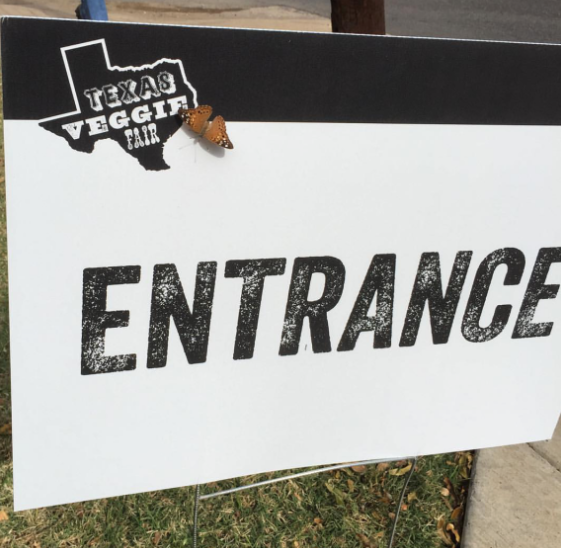 Later on that day my neighbor and I went to the Texas Veggie Fair! This one goes down every year and I always want to go but end up missing it. So I was excited to make it and do a little shopping. They had all sorts of booths with live music, yoga, vegan/vegetarian food, jewelry, handmade soaps/lotions and a local kombucha vendor! I was in heaven. I bought a big jug of the cucumber Thai basil drink which was fantastic. 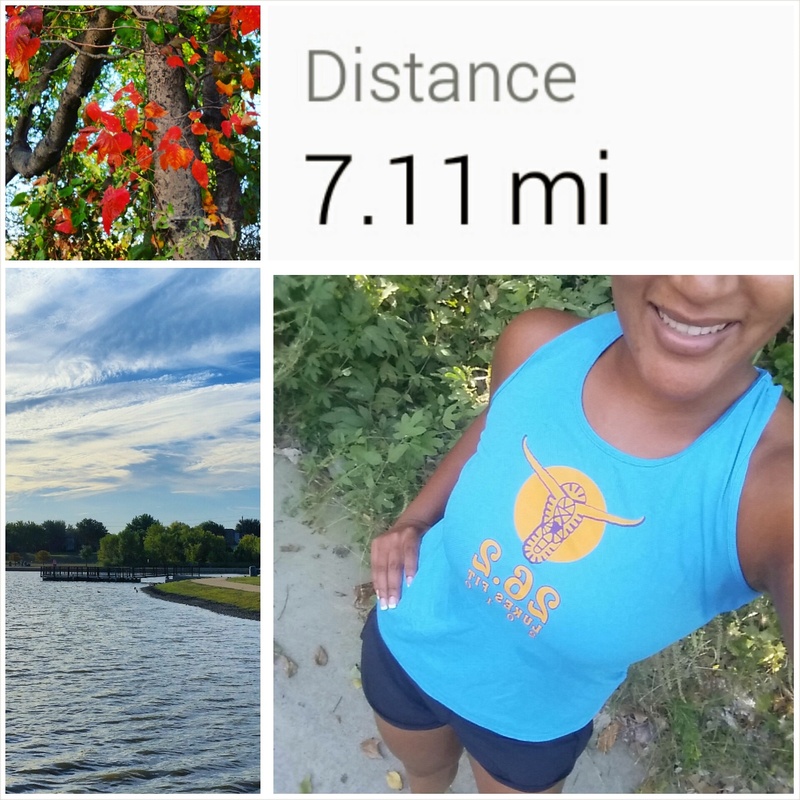 Sunday was a chill day, 7 quick recovery miles before church. 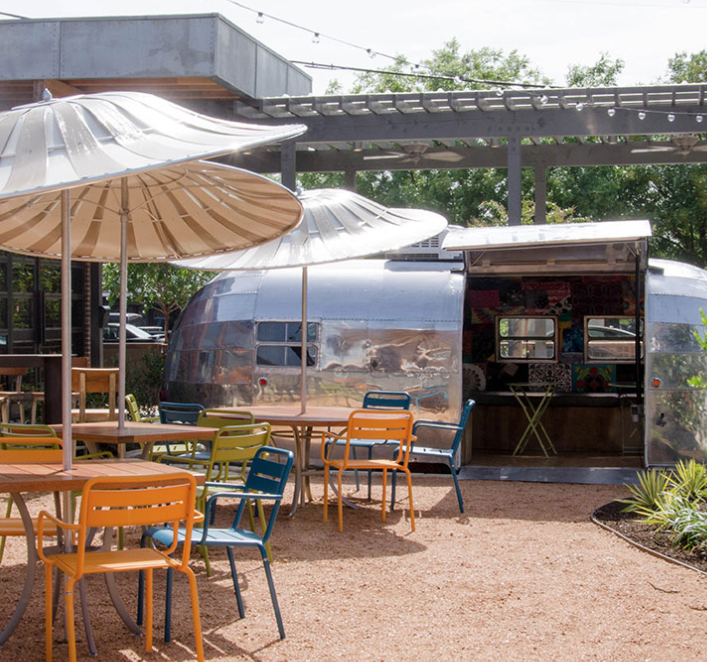 Then brunch with mama…we tried a new Southern joint in Addison called Ida Claire. 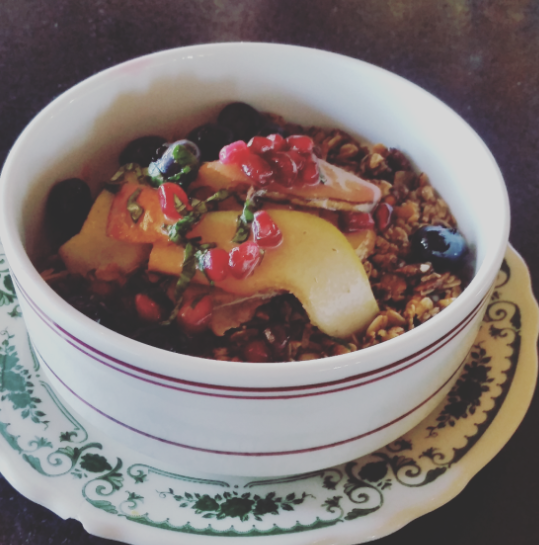 I tried some of her chicken and waffles that she ordered (amazing) but I ended up getting some gumbo and this granola/honey greek yogurt parfait with fresh pears, pomegranate and berries. Definitely need to re-create this at home. Then some grocery shopping later…stocking up on some butternut and spaghetti squash yumminess. 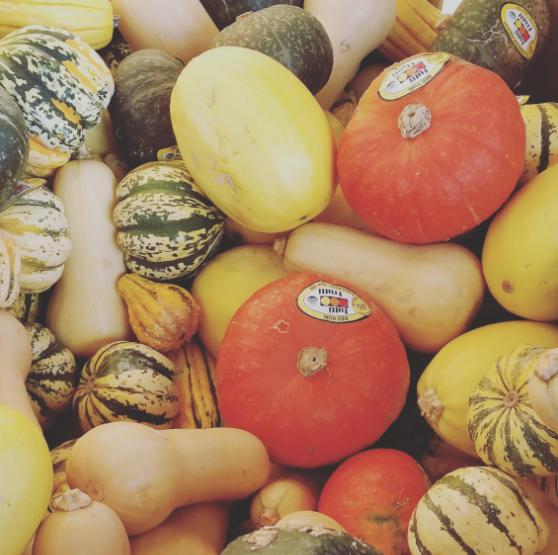 I love all of the fall and winter squash varieties…makes me happy. My goal is to try them all. This entry was posted in Coffee, Fitness, Marathon Maniacs, Marathon Training, Marathons, Running, vegan, Vegetarian, Weekend by thedancingrunner. Bookmark the permalink. 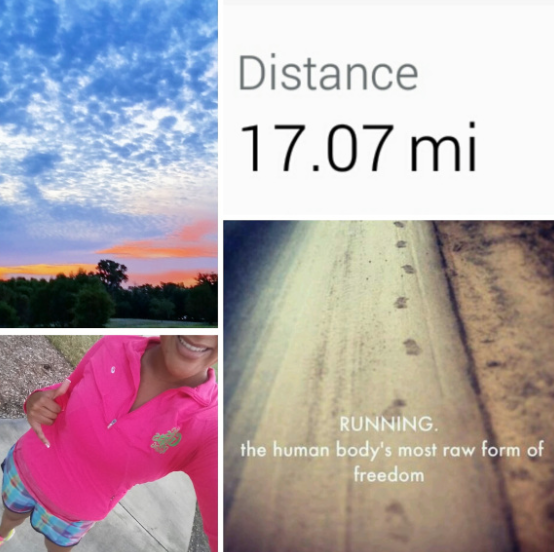 17 miles plus another 7 a week after a marathon!! Wow, that is getting it done…nice job! 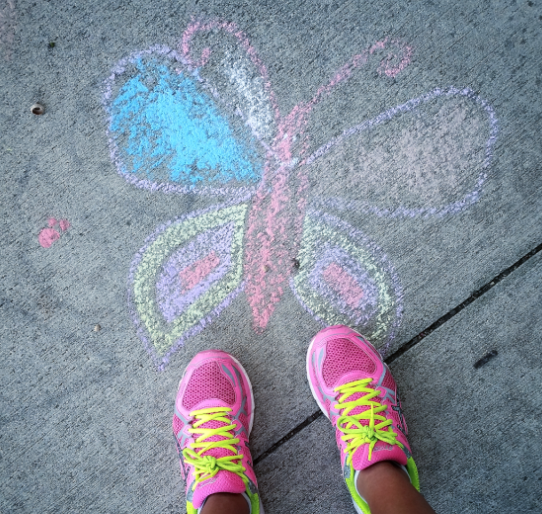 I ran 4 easy…my first run since Chicago last weekend, and a couple bike rides. Enjoying some rest before next training cycle begins next week. 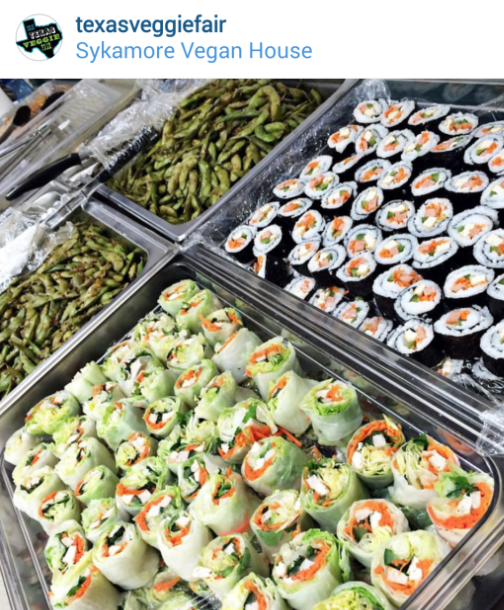 Btw, that food all looks fabulous!! mmm kombucha! Yummmm. I can’t believe how expensive it is lately! Or maybe that’s just stupid canada. 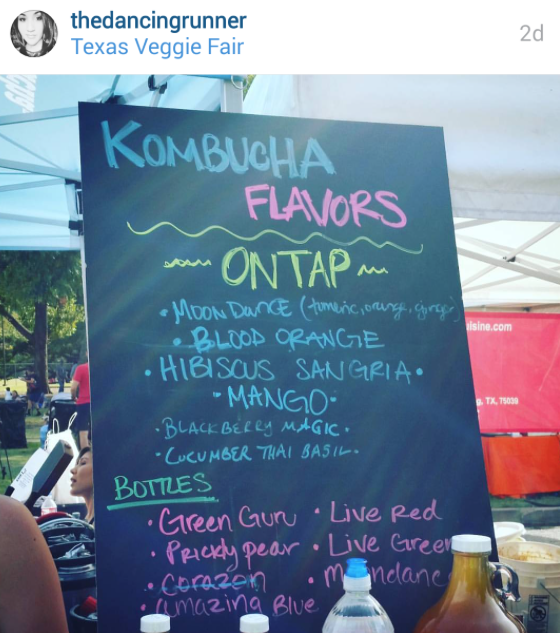 I bought a resuable kombucha ‘growler’ (1/2 gallon glass jar) at the fair for $10 and you can take it to places like your local Whole Foods and fill the whole big jug to drink during the week…better value I think! You should look into it. But yeah I hear things are more expensive in Canada. oh how fun. 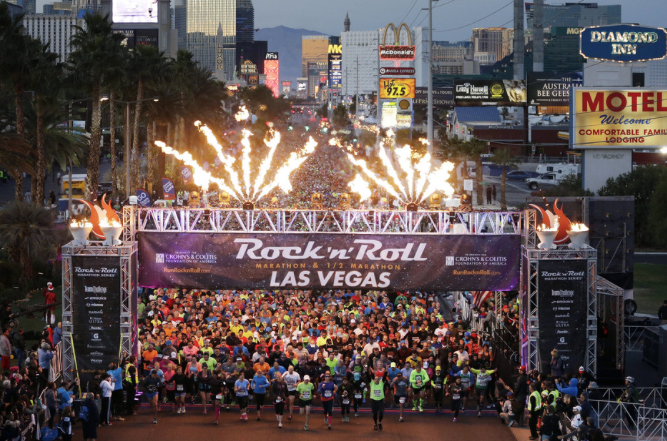 Are you running the rock n roll Vegas race with any friends? I love granola. That bowl looks delicious. So glad you got some good strong runs in especially after a marathon. You are amazing. Hope you have a great week. Yes! 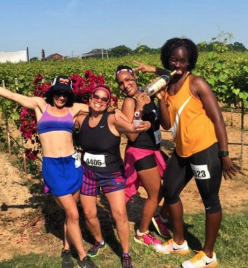 Some of the gals (pictured in that wine photo) will be running it. It’ll be fun! Wish you could come! The Rock n Roll sounds like such fun! I think when I visit southern U.S, I have to try chicken and waffles.